Many plans for garden benches. 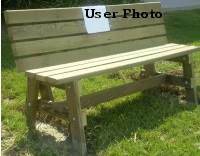 Garden bench plans include both the bench style and benches with backs and arm rests. 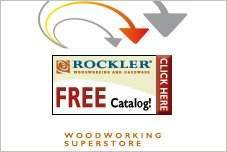 Choosing the right wood for your free garden bench plan is one of your first decisions. 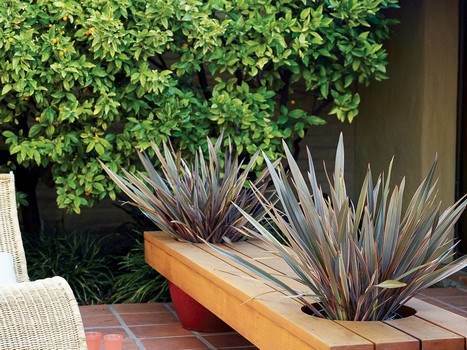 Teak, cedar and redwood are right at home on your patio, aging to a beautiful patina over the years. 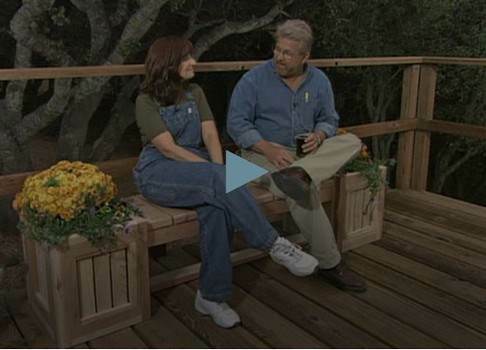 Salvaged pallet wood or exterior treated lumber are also good choices for outdoor settings. You can also opt for pine or hardwoods if you plan to use the bench indoors. A small, backless bench for the garden. 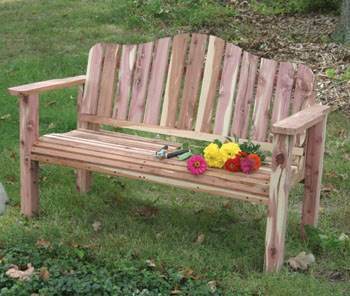 Here is a bench that is built using red cedar and can be easily constructed using this garden bench plan. 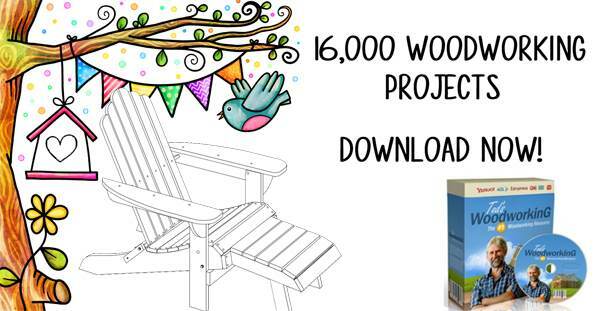 You can build a bench using little money or time with this simple bench plan. 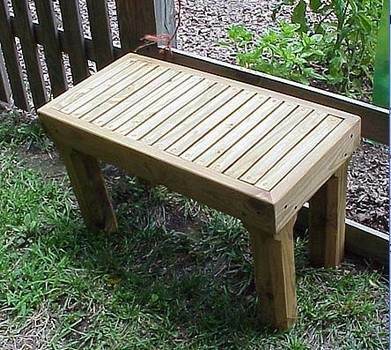 Build a strong and sturdy bench with backrest using these instructions and list of materials needed to get the job done. Plans for a wooden bench without a back and a planter on each end. This bench rest on top of two ceramic pots and has a very modern look.